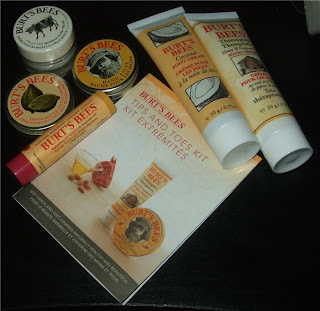 I have three of Burt's Bees lip balms all ready that I adore and have always been curious to try out their other products, but I'm always stuck on what to try out first. 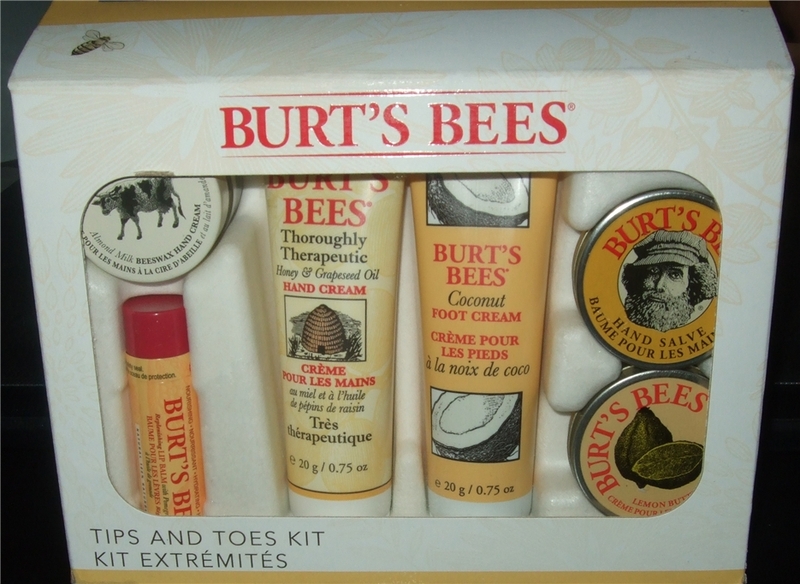 So I decided to purchase this little kit from Boots at £12.99. Which is a great way to sample some of the products. I haven't tried any of these products either, even this Pomegranate lip balm, which is full sized. All of the products are presented nicely and come with a little booklet on how to use your products. Throughly Therapeutic Honey & Grapeseed Oil Hand Cream- None greasy and very light and does the job quickly. I do thought however hate the scent. It's very dull and doesn't smell like neither grapes or honey. It has this weird kind of papery smell. Coconut Foot Cream- Wow, this is not a cream at all, more like a lipgloss for your feet with little grainy bits. 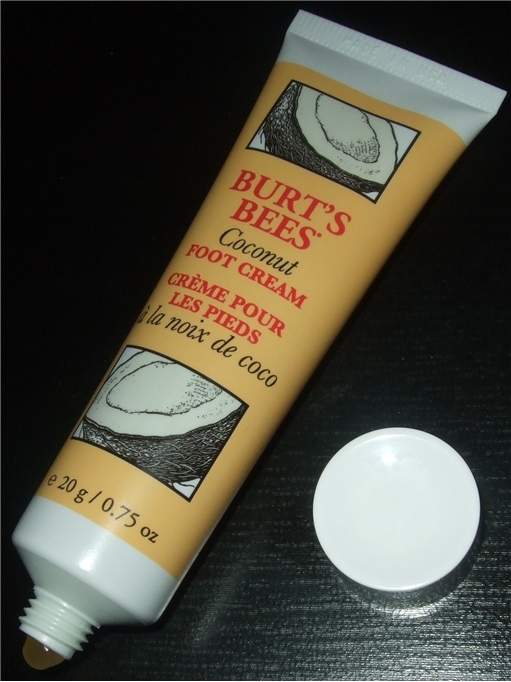 It's a sticky gross coloured gel and smells like mint, not coconut.....not good....not happy. 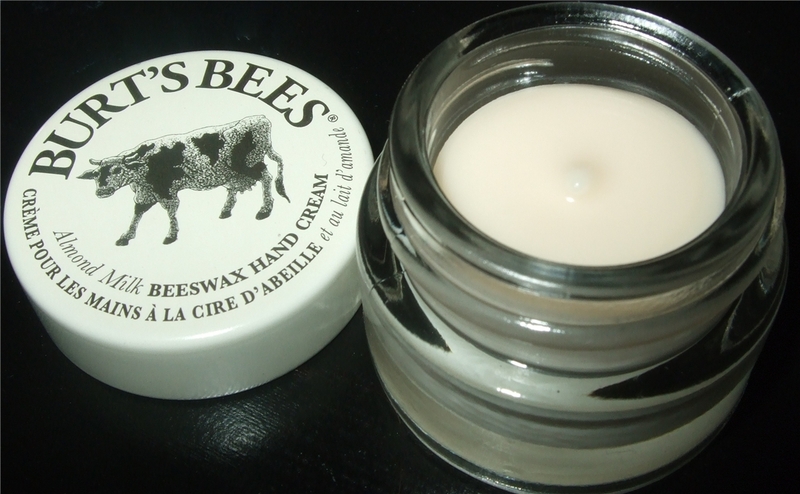 Almond Milk Beeswax Hand Cream- Very thick, greasy and sticky. 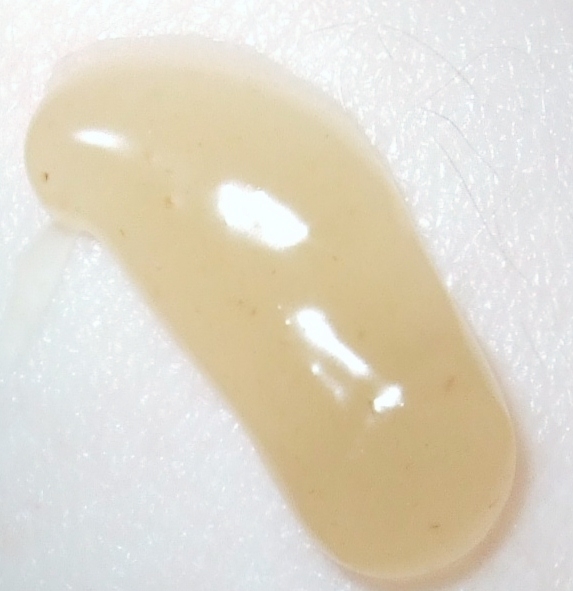 Could be moisturisng, but can't tell it's far too sticky to leave on my hands for too long it's a sticky magnet. Smells like marzipan but the fake not the cake kind. 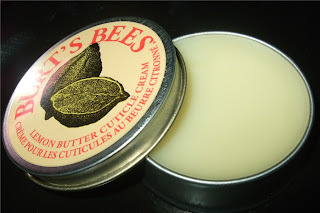 Lemon Butter Cuticle Cream- Not a cream again, it's definitely a salve/balm. Very light and even texture but not for those with the roughest of cuticles. This has a nice sharp lemon scent which is yum! 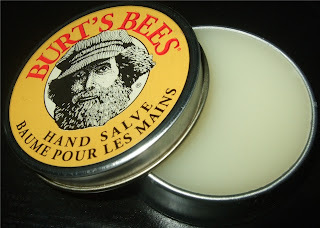 Hand Salve- I feel like I need to be ill with a cold to use this as it smells like Vicks and I'm sure it's a vapour rub in a tin. 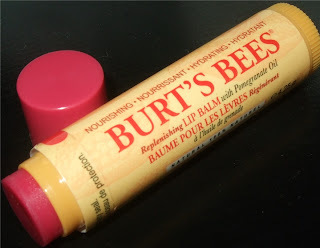 Replenishing Lip Balm With Pomegranate Oil- This is my least favourite Burt's Bees balm. I just don't get the scent, it's like a fruit that's gone too ripe and lost it's flavour. It has this weird yucky melon taste too. I don't find it as hydrating as their other balms either. 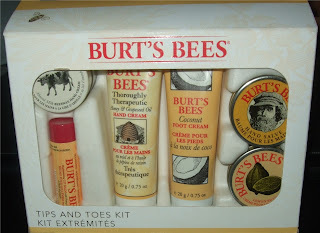 I'm am very disappointed in this kit since I only like the lemon cuticle cream, mind you now I know I won't be too curious with their products and I shall be just sticking with their three lip balms that I like especially Acai Berry, it's so hydrating and smells like sweets! 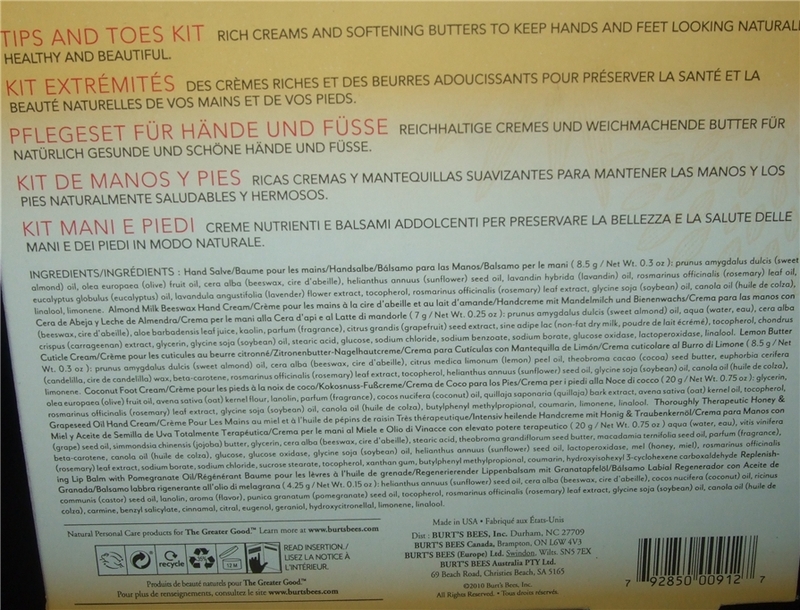 Have you tried any of these products and how do you like them? I love the smell of the cuticle butter, it's soooo yummy. 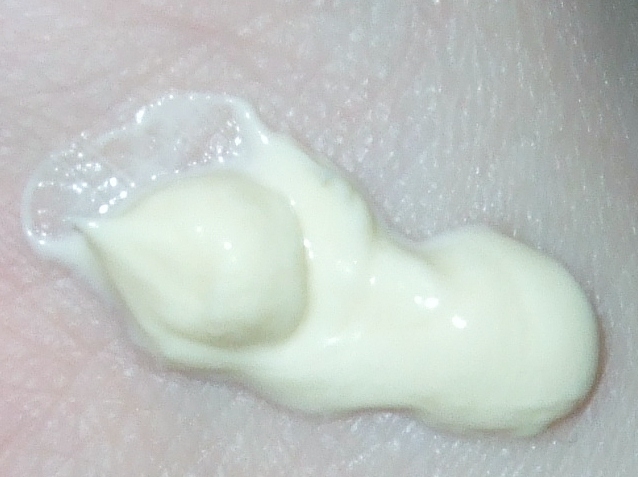 I also have the hand salve but I'm never really sure how to use it. 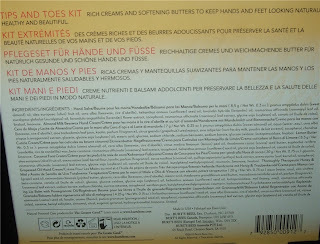 I love that Almond Milk Hand cream! 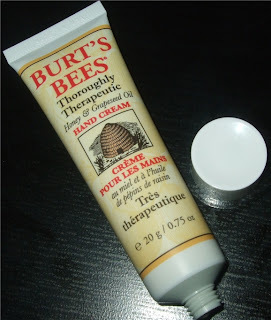 Best way to use it is apply before bed and set with gloves.